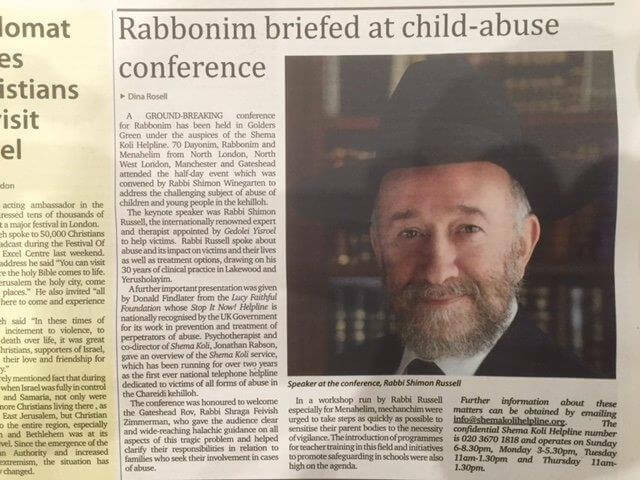 Shema Koli was launched in April 2013 by Rabbi Shimon Winegarten, Rabbi of Bridge Lane Beis Hamedrash, London, as the first-ever Helpline for victims and survivors of abuse in the Jewish Community. What does Shema Koli Do? What Makes Shema Koli Unique? Shema Koli is endorsed by leading UK Rabbonim and is supported and trained by national abuse experts The Lucy Faithfull Foundation and Stop It Now helpline. Shema Koli means “Hear My Voice” – and that’s what we do. The Shema Koli Helpline exists to help those many silent and silenced victims of abuse in the Jewish Community tell their story – men, women and young adults – often for the first time, possibly even years since their abuse took place. We offer a sensitive, confidential and professional service which validates, helps, supports and listens to those who have experienced or been affected by any form of abuse, whether now or in the past. Importantly callers can remain anonymous so that their fears of exposure and shame are kept to the minimum. Some calls are one-off; but since speaking is often so painful and it takes much time to open up about experiences of this nature, people are encouraged to call us back as often as they wish, and many do so over a period of time. Shema Koli is here to help our callers deal with their experience of abuse – whether now or in the past. We listen, answer questions, and help callers clarify the options available to them. We also support professionals, Rabbis, educators and others who have questions about abuse-related issues. We show sensitivity to our callers and validate their experience, recognising it may be years since the abuse first took place and how hard it may have been to make that call. 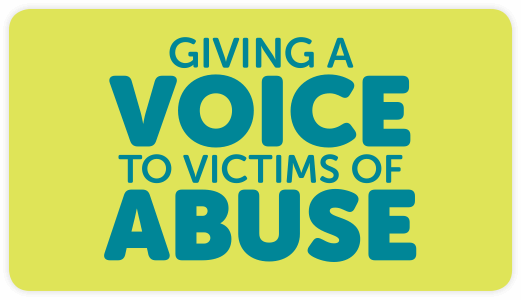 All calls are taken by professionally-trained operators who are skilled in listening to victims of abuse. Calls to Shema Koli are 100% confidential and anonymous. We offer a range of educational seminars for the community to make leaders, teachers and parents aware of the risks and to give guidance on how to keep children safe – at home, at school and in the wider community. Shema Koli is the first-ever dedicated abuse helpline service for the European Jewish community. We have set up Shema Koli to be 100% confidential and anonymous by design – that means you do not give your name and your call cannot be traced. For your confidentiality and protection, our operators also remain anonymous, using only a pseudonym. Uniquely, our Shema Koli operators and supervisors are trained mental health professionals and abuse helpline specialists – not volunteers – from within the Jewish community. We understand the religious and cultural background of the callers and the challenges our callers face in discussing matters of abuse. Calls are taken in English but we have operators who speak Yiddish, Hebrew and French. Shema Koli is endorsed and supported by a Vaad HaRabbanim (Board of Rabbis) who provide Halachic guidance to Shema Koli professionals and offer direct support to callers where requested. We have developed links with designated contacts in the statutory services (including police and social services) and voluntary sector organisations to guide our callers with all the options available to them. By investing in these relationships, we ensure that any contact with other agencies will be handled with sensitivity and respect for our callers’ religious and cultural beliefs and background. Shema Koli operates throughout the year, 4 days a week for a block of 2.5 hours, at a range of times to suit everyone – those in work, parents with young children, or anyone who needs privacy to make their call. We do not operate on Yom Tov or Erev Yom Tov and there is no service on Bank Holiday. For anonymity, there is no out of hours voicemail service, and we are not able to call back as we have no record of callers’ telephone number. Why was Shema Koli started? Shema Koli is a confidential telephone Helpline for those who have been affected by or have experienced abuse. It was initiated in 2013 in response to a request from the group of Rabbis and Dayonim who announced the establishment of the first-ever service to assist victims of abuse in the Jewish Community. Why is it called "Shema Koli"? 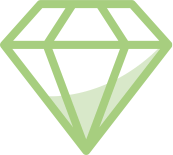 We chose this name, meaning in Hebrew “Hear My Voice” to tell users that their voice, which may have been silenced until now, can at last be heard. The name also stresses the fact that Shema Koli will listen and validate the concerns of anyone who calls whatever their experience has been. Shema Koli is a free service, and our telephone number is a local UK number which is usually included in free minutes from landlines and mobiles. Our callers include victims, younger and older women and men, parents, siblings, spouses and other relatives. We receive calls from individuals who are concerned about their own behaviour, now or in the past. We also get calls from teachers, Rabbis and professionals who are looking for advice and guidance. Where do Shema Koli calls come from? Calls come from all over the UK, Europe and Israel. Most callers ring from London (North & North West), Manchester, Gateshead, and some from other parts of the UK and Mainland Europe – including Antwerp and Zurich. Calls come from anywhere in the English-speaking world – even Australia. What kind of abuse have Shema Koli callers experienced? All forms of abuse inevitably include emotional abuse - cruelty, control, blame, harsh criticism - all of which can lead to fear and guilt. In religious homes, it may involve spiritual abuse where religious practice is used as a weapon. Our callers may have experienced sexual abuse or physical abuse; children may have suffered neglect, and spouses report domestic abuse and violence. Others may call us as with mental health disorders that have developed in relation to their abuse. Is Shema Koli just telephone support? Telephone support is at the core of our service but we also offer the opportunity to explore callers’ issues in more detail in further calls or signposting to face-to-face meetings with other professionals. Where appropriate, and if requested, callers can be referred for therapy or to other organisations or support services more suited to their issues. Who are the Shema Koli operators? The operators are all observant Jewish men and women, qualified mental health professionals, mainly counsellors and psychotherapists with experience of working on helplines and with victims of abuse. The operators remain anonymous and use a pseudonym to protect the confidentiality of the call. The operators are fully trained and continuously supervised by experienced mental health professionals both individually and in group supervision. A central principle of Shema Koli is that callers should be able to share their concerns anonymously. Operators inform them at the beginning of the call that they should not give their name and will be encouraged to remain anonymous. They also will not be told the name of the operator in order to preserve the anonymity for caller and operator. Under specific circumstances where a caller informs the helpline of child sexual abuse, they will be encouraged to consider reporting the abuse. The same would apply to any other criminal activity. What happens if operators need to report to police or social services? We have found that the need for reporting is not common as calls to Shema Koli are anonymous and most people wish to explore their experiences of abuse long before they take any further action. We take guidance from the Rabbinic Board and liaise with the statutory services with whom we have established trusted working relationships. We also have access to legal advice to provide Shema Koli with the necessary support to balance our professional and legal responsibilities with cultural and religious sensitivities. What should people do in an emergency? The Shema Koli helpline is not an emergency service. In an emergency, people can contact their GP, the local Social Services, Crimestoppers or Police or even visit the Accident and Emergency unit of their local hospital. What feedback do you get on your service? In almost 100% of calls, we get positive feedback about the callers’ sense of relief, and their experience of being listened to and validated.